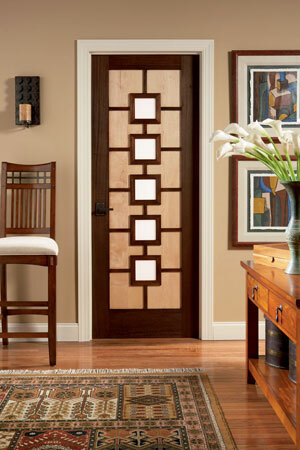 Tru-Stile's interior doors offer a wide array of architectural styles to complement any home. Choose from among TruStile's Panel Doors, Glass Doors, Louver Doors, Fire Doors and Custom doors in a variety of styles, types and grades. With TruStile, you never have to sacrifice style for function. TruStile's common arch pair option is just another way to help you get the most out of any room design. Rather than placing two matching doors side-by-side, the common arch pair allows you to maintain design consistency while adding architectural interest for integrated doors.